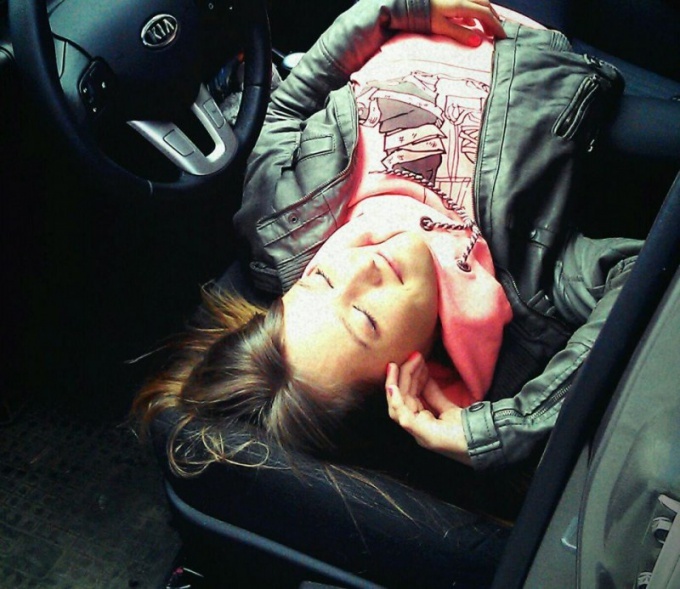 It happens that there is a need to sleep in the car. How to settle with maximum comfort? There are several ways, but each comes up with its own tricks. The comfort of accommodation depends greatly on the type and size of the machine, and how many people will sleep in it. The easiest way, which is ideal if you need just sleep for a few hours to lay out the front seat and sit on it. So often do the drivers that have a very long drive and time to stop for a proper rest, no. Despite the fact that it is recommended to drive well-rested, still, a long road indeed swayed by its monotony. In any case, if you are feeling drowsy, stop for an hour and sleep, lay the front seat, better than nodding off behind the wheel. Slightly more comfortable option than the previous one: decompose a nearby seat with the driver's seat. So you will not interfere with the pedals and steering wheel. Drivers usually don't really like this option, as even prefer to sleep in your seat, behind the wheel. You can also sleep in the back seat. The main problem here is that leg pulling does not succeed, no matter how you try. Still need to either bend them or throw up if the design of the cabin allows. Not the most comfortable, however, it is still used. Those who prefer convenience, use various tricks. Immediately I must say that not all cars allow that, as it is not always the seat to recline as needed. Can be decomposed back sofa, so he took a horizontal view, then open access to the trunk. Need to be placed along the machine, his feet in the trunk. If you take a sleeping bag, you can get a very comfortable. It is important that the plane turned horizontal, it happens not in all cars. If you had to sleep in the car, do not forget about safety. It is impossible to sleep with the engine running. Since the car is spot on and does not go anywhere, the exhaust gases accumulate under him and around him. The machine body is leaking, it has a technological vents, so gases will inevitably penetrate into the interior, which could lead to poisoning and other harmful consequences. It is for this reason sleeping in the car camping is forbidden in the camps, as tourists often leave the engine running, wishing the air conditioning worked and night. Exhaust gases, among other things, poison the area around the machine. The engine noise, which can disturb sleeping neighbors. A lot of tourists do die from poisoning while sleeping in a car with the engine running. One of the drawbacks of spending the night in the car – the fact that to accommodate need somewhere to hide from it all the things you take with you. If you go on a long journey, sometimes it's easier to bring a tent to sleep in it, not in the car, if the trip is in the summer.